The lower rung BJP leaders every now and then are known to raise the bogey of TFR (total fertility rate) and exhort Hindus to increase their fertility. No sooner that such ideas are floated and the entire media gets up into arms leading to disowning of such members and comments by top leaders. While the left chastises the TFR brigade by citing their ill-founded fears about Muslim population explosion, the neo-liberal supporters on the right although acknowledging the problem fail to react because they don’t/can’t match the resolve of Muslim women as Hindu women are not captive breeders. But truth be told, the gullible Hindus hide their personal choice of having few kids by by hiding under the intellectual veneer of excess population, environment savior, women empowerment and other ideas that they have been spoon fed since independence and have taken them up with great zeal like any other nouveau convert to modern memes. The national and state governments too have played their role to a large extent and hence we find open support for this government propaganda which has put the responsibility of saving the world squarely on the Hindu shoulders. But how does the TFR actually looks like? We present the result for the two religions from 2011 census for different states. Few things to notice here. First, the Muslim fertility is higher in almost all states. Second, the fertility is hovering around or below 2 for most Hindus, i.e. below replacement level. So Hindu population in these states will actually fall in the future. Third, it is not that Muslims are having too many children, it is just that the Hindus are having too few children which allows Muslims to keep the same percentage fertility gap (the only thing which matters for population share growth). Another important point to note is that the percentage difference is much higher in some states, which are important demographically- like Assam, West Bengal. The surprise addition here is that of Haryana with the highest TFR difference between the two communities. 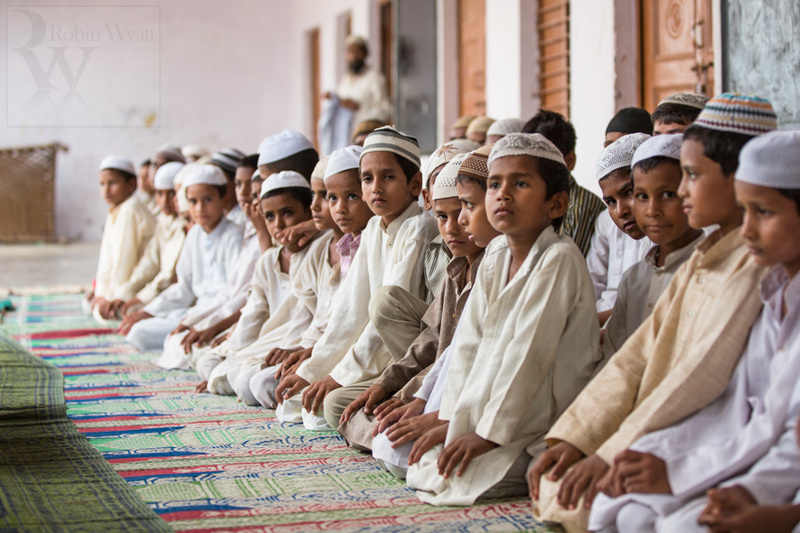 The current muslim share of Haryana population is very low and so it would not impact right now, but if the trends continue Haryana too will join the list of west UP districts specifically given most Muslim concentration in Mewat and Yamunanagar. Delhi was already surrounded by high Muslim population in west UP, Alwar and Mewat. If Haryana keeps going on this trajectory, the encirclement of Delhi will soon be complete. But what is causing this great fall in Hindu fertility? It is the urban Hindu who is showing the same trend everywhere and his fertility is hanging around 1.5 level. In some states, it is much worse and gone down to 1 like in West Bengal and Himachal Pradesh. So, the low Hindu fertility in urban areas generate a much higher percentage difference between two religions. The rural areas though better than urban areas are still lagging behind Muslim TFR. While Assam and West Bengal are undergoing big demographic change and everyone is aware of the influx of illegal Bangladeshis there, no one wants to talk about the elephant in the room i.e. TFR difference between two communities in these two states. The percentage TFR gap is around 80% in Assam and 45% in West Bengal. It is easy to blame the illegals but one cannot deny the low fertility of Hindus in these regions as a big part of the problem. While Kerala and west UP would not have as many illegals as Assam or West Bengal, but they too are facing similar problem and the question is why? It is the TFR stupid. The Hindus will be chiefly to blame themselves for the future change in demographics in most regions. The high cost of raising children is not an argument that will cut with nature. Nature is ruthless to those who under-breed. While it is easy to blame governments (which is needed because they keep TFR numbers guarded or under the radar and don’t take action against illegals) but a big blame lies with the individuals too. If you see the numbers of Muslims multiplying in your area, you should trust your own hunch rather than government. And most importantly, act on it. Note: All data sourced from fertility data present in Population of India, Census 2011. To download the calculation file for all religions and states, click here. In case of any questions about raw data and methodology, send an email to admin or quote on twitter.